I was watching Mad Hungry on Hulu one evening when I saw her make this cannellini bean soup that looked so yummy! Since it was still winter and very cold here, I knew I had to give the recipe a try! This is my version of her recipe (which is really Martha Stewart's recipe since Lucinda works for Martha....). You'll see that the reviews of this recipe aren't great, but I decided to try the recipe anyway. The verdict is that it's a light tasty soup. If you are a soup lover who likes heavier soups with meat undertones, then this may not be the soup for you, but if you like light soups, then you'll like this. Make this recipe the day before, freeze it in portions for family dinners for quick meals, or serve it at big gatherings. It's a very versatile soup! 1. Soak your beans overnight (cover rinsed beans in cold water and let sit overnight). 2. Heat olive oil in a large pot and add onions and garlic. 3. When you smell the garlic, add in your carrots and cook for 5 minutes. 4. Add in the tomatoes, basil, and parsley and cook for about 3 minutes. 5. Add your soaked beans and the 10 cups of cold water. Stir. 7. Stir occasionally and cooked until the beans are tender and creamy, probably for about 2.5 hours. 8. The soup should become thick as the beans break down. You can add more water if you need to to give the soup more time to cook if it hasn't turned creamy. 9. Add salt to your taste. 10. Add the second round of fresh herbs. 11. 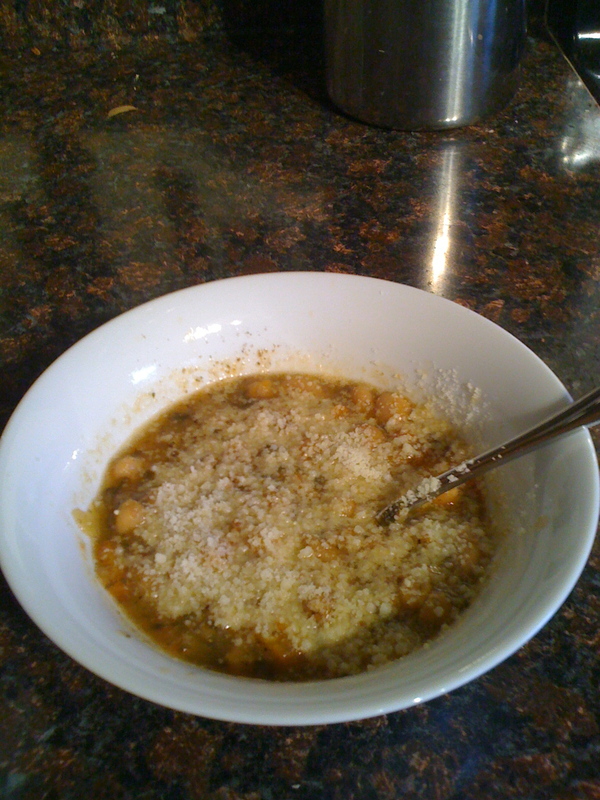 To serve, drizzle with olive oil, cover with fresh ground pepper, and fresh parmesan cheese!